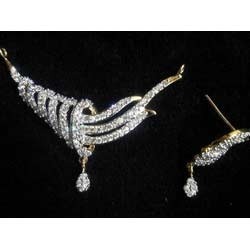 Tanmaniya are originally the pendants with a wider designs with dual loops, these designs put up a flair over every piece worn, tanmaniya when geared with matching earrings also forms small necklace which goes around in every occasion . We bring forth a designer range of Stylish Tanmaniya Set that are known to add a graceful yet stylish look to the bride and are highly appreciated for their exclusivity. 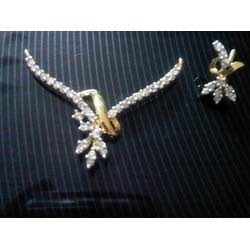 Clients can avail these at attractive prices. 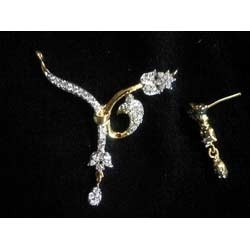 Our Designer Tanmaniya are offered in accordance with the advanced techniques and fashion trends prevailing in the industry. These are offered in customized services as per the specifications given by our clients. We offer them in bulk.